The calm, serene all-white aesthetic of Bangla Sahib Gurudwara that sense of inner peace it tends to bring with it is why, after all this time, people keep coming back. We found the perfect hour to visit our favourite gurudwara in Delhi sans chaos. Bangla Sahib, despite being a religious institution, has an openness and welcoming vibe to it that defies any kind of communal afterthought. Open for 24 hours, the best time for a visit is between 4.30am to 5am. The reason? Because the ardaas happens during this time. Amidst the prayer by the priest, you’ll connect with your spiritual self. In these moments, the gurudwara is way less crowded and hence, everything is less chaotic. Within these thirty minutes, you can take in the serenity of Bangla Sahib and admire its white architecture. Everyone who visits the gurudwara at this hour will tell you of the inner peace they felt but the feeling is still something that can’t be captured with mere words. Hence, set your alarms and make your plans to visit one of Delhi’s most loved places before everyone else does. 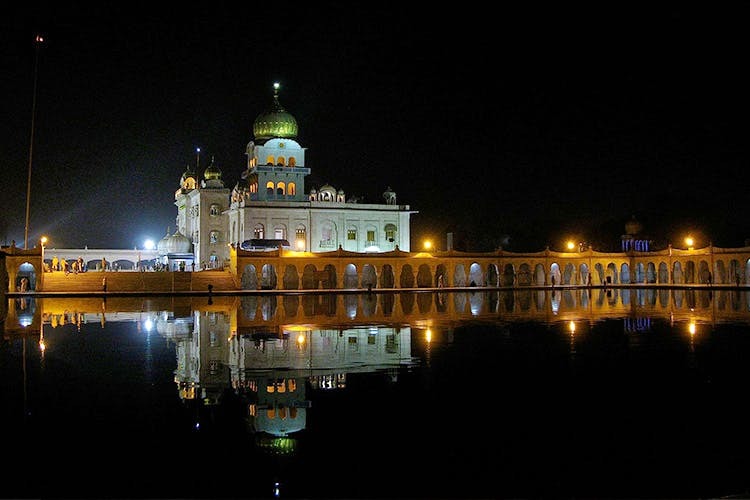 If you want to experience true inner peace, just wake up a little before the world and visit Bangla Sahib between 4.30am to 5am.